Classes in the Gyrotonic Expansion System® are now available in Brisbane. Gyrotonic is a method of exercise aimed at encouraging range of movement. It has its roots in Yoga, Tai Chi and dance, with the exercise sequences being composed of spiraling, circular movements. These movements flow together seamlessly in rhythmic repetitions with corresponding breath. The system uses pulleys, weights and rotational discs to encourage circular movement of the joints. The exercises are natural rotational movements that use a balanced support system for the skeleton. 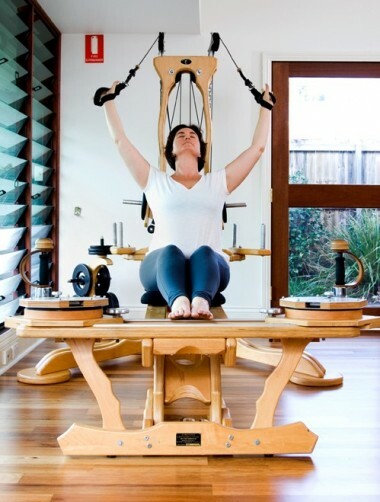 Gyrotonic at our studios in Brisbane (West End, Annerley) is great for increasing the functional and rotational capacity of the spine, and is particularly efficient with other rotational joints such as the shoulder, knee and wrist. The philosophy of Gyrotonic with Body Organics in Brisbane is that the circular movements emphasise joint articulation without jarring or compression. and therefore increasing stamina, flexibility and strength. Gyrotonic places emphasis on breath and flow throughout its whole-body workout so that you can achieve a cardiovascular workout whilst supporting your joints. The method systematically moves the body through a series of circular motions, opening areas that are bound and tight. These carefully crafted sequences create balance, efficiency, strength and flexibility. 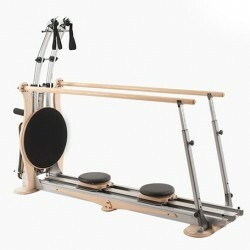 Who can do the Gyrotonic Expansion System®? 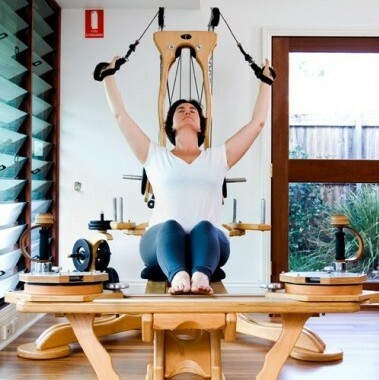 Body Organics has Gyrotonic equipment in Brisbane at its West End and Annerley studios. Our West End studio also has the Jumping Stretching Board and the Gyrotoner, making it the most comprehensively equipped studio in Brisbane, let alone Queensland. Juliu Horvath developed the Gyrotonic method and its specialised range of equipment around the natural movement patterns of the human body. Watch the video to hear Juliu himself explain and demonstrate how the system works, or find out more at the official web site of the Gyrotonic Expansion System. Jumping Stretching Board exercise sequences are composed of full-body, functional exercises. To suit the specific needs of each client and their desired goals, the exercises can be performed in a range of body positions, from kneeling to standing, lying or sitting. There are a variety of standing exercises designed to improve flexibility, coordination and functional strength. The ergonomic, gliding platform allows users to experience running and jumping in a low impact, horizontal plane, with the spine and pelvis fully supported, making it ideal for post-injury exercise. The Jumping Stretching Board is appropriate for people of all levels of strength and flexibility. This video shows how much fun the Jump Stretch Board can be. Our clients love it, whether they are athletes or rehabilitating from injuries or managing long term conditions such as Multiple Sclerosis. Juliu Horvath also developed the Gyrotoner through building on his philosophy that the spine is a key element in all movement. 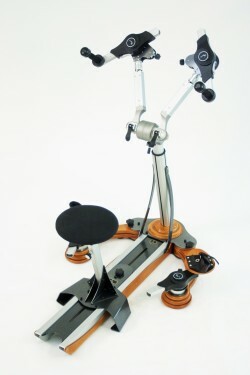 Movements on the Gyrotoner can be performed either sitting or standing, teaching how to use your spine in day to day activities – work, leisure or sport. Great results have also been achieved for specific rehabilitation of the shoulder and hip. The various muscle groups, tendons and ligaments in the spine, arms, hips, legs and ankles are strengthened and stretched simultaneously while you consciously engage breathing patterns when executing the movements. This video gives you some lovely insight into the delicious movement that can be achieved with the Gyrotoner. At Body Organics we are fortunate to have three Gyrotoners so that our clients don’t miss out on the treats that this apparatus offers.